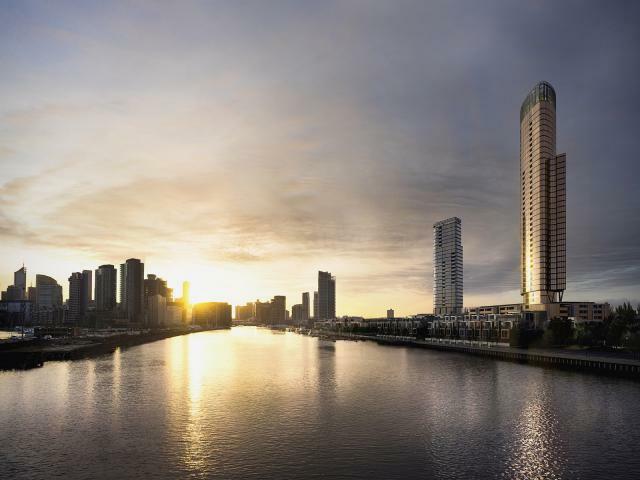 In one of Melbourne’s most desirable locations, Wharf’s Entrance at Yarra's Edge offers an exceptional address, boasting a waterfront lifestyle, lush parkland, north-facing city views and modern and spacious residences. As the tallest building in the precinct to date, Voyager is an iconic beacon welcoming those coming to Melbourne over the Bolte Bridge. Voyager delivers a desirable society to live, work, play and entertain. With a mix of inspirational artist apartments, flexi-apartments perfect for a home and office in one, as well as one, two and three bedroom luxury apartments throughout, Voyager offers a broad and flexible variety of lifestyle residences. Each residence features spacious, flexible living spaces and floorplans to encourage ease of living that can adapt to any lifestyle. Exceptional luxe finishes give each residence a global appeal, created through the use of metallic highlights and sculptural fittings. SMEG or Miele appliances, and generous storage within a beautifully designed space, create a special experience for the culinary chef or aspiring cook who simply wants to enjoy the peace within their beautiful surrounds upon arriving home. The Societe is designed for residents and their guests to entertain or retreat. 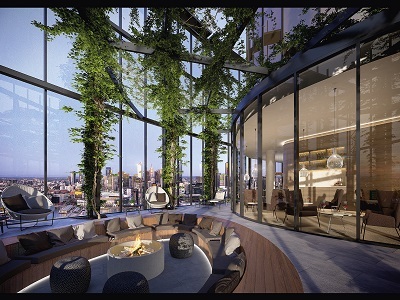 A perfect blend of indoor and outdoor spaces, the residents' club offers private dining, a bar lounge, theatre and karaoke, yoga space, communal BBQ and an intimate open air fireplace lounge, with sensational views over Melbourne CBD. The rooftop has been designed to be flexible and create opportunities for different uses. Whether entertaining as a group or retreating. 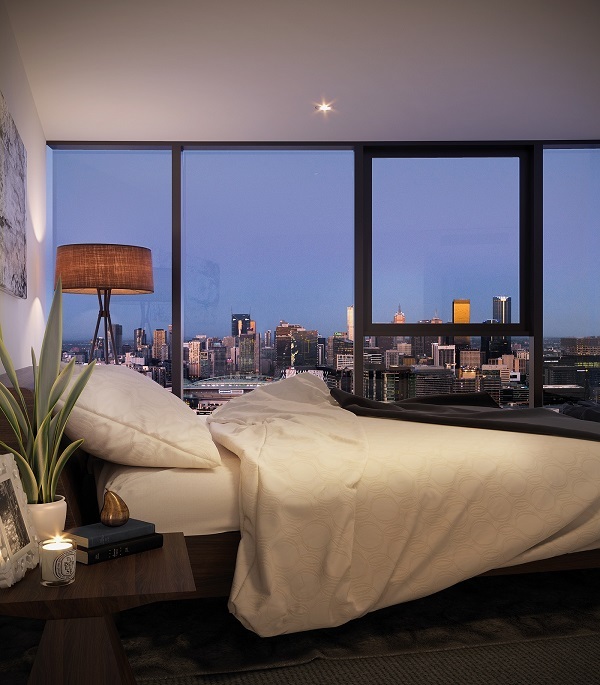 The location and views from this vantage of Melbourne will ensure that this space is well-loved and used by the community. 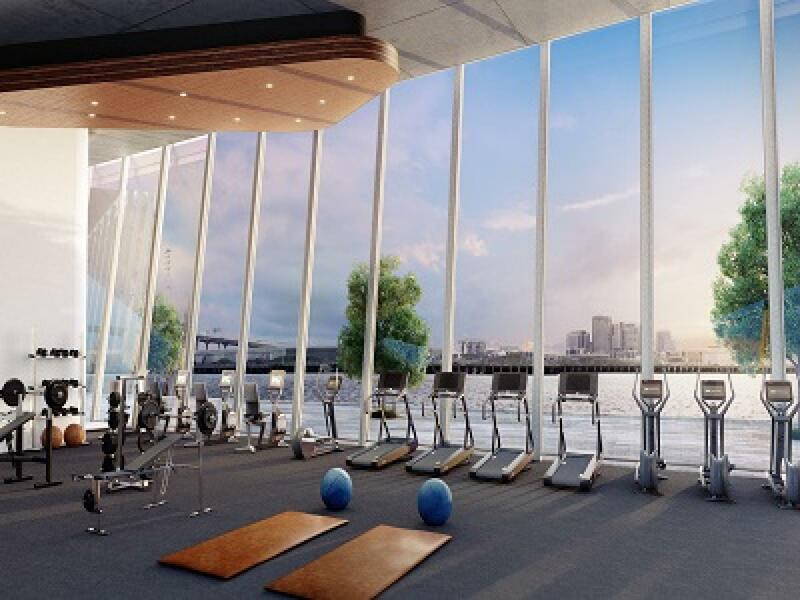 Under the iconic, inclined grass roof of the Wharf Club is a recreational facility that is part hub and part exclusive club. It is in a convenient and ideal health and well-being location for residents and the local community. State-of-the-art recreation facilities include a fitness centre, pool, spa and sauna. This unique glass-house style cafe is a picturesque place to grab a morning coffee or enjoy an evening wine with friends while watching the sunset over Melbourne. 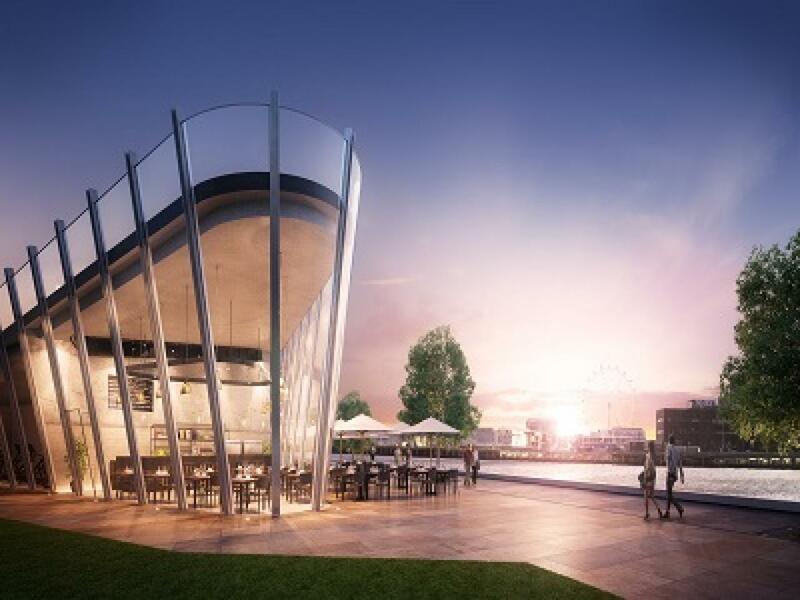 Take a stroll up the grassy roof of the Wharf Club and enjoy the spectacular views that Yarra’s Edge has to offer.